Café industry in India is seeing the best of times and flourishing like never before. As this sector is promising huge scope for growth, domestic brands are emerging and global brands entering India to capture the untapped market. Many coffee retail joints are striving for its market share but the undisputed leader amongst them, Café Coffee Day stands tall with largest number of outlets and a strong youth oriented brand image. 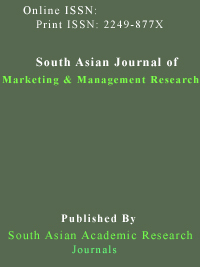 This paper explores the trends in café industry in India, factors leading to its growth and the intense competition that the market is witnessing today .It analyses profile of the brand-Café Coffee Day, its strengths and why other players are finding CCD tough to compete with.